John Elway sent me to the Pro Bowl. Guess who is my favorite all-time NFL player. 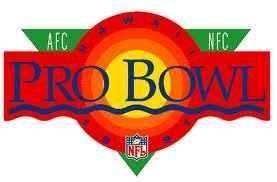 The Pro Bowl generally is a laid-back affair, past and future, played for most of its years at Aloha Stadium. It features special rules such as no blitzing, no zone defenses, no trick offensive formations. The 2019 Pro Bowl is today, 12 p.m., Sunday, Jan. 27 at Orlando’s Camping World Stadium for the third year in the row after one season back at my old Aloha Stadium stomping grounds. Games recently also had been played in places like Detroit — don’t drink the water — and Phoenix, a desert where they have no water. This year’s game features players from the actual Super Bowl teams — except each was robbed — New Orleans Saints and Kansas City Chiefs. Drew Brees will square off against Patrick Mahomes, leads a contingent of six Pro Bowl selections for the Chiefs. The San Diego — oops — Los Angeles Chargers have a league-leading seven Pro Bowl selections, including Philip Rivers, Melvin Gordon and Keenan Allen. The Chiefs and Pittsburgh Steelers each have six Pro Bowl selections and the Chicago Bears, Dallas Cowboys, New Orleans Saints each have an NFC-leading five Pro Bowlers. 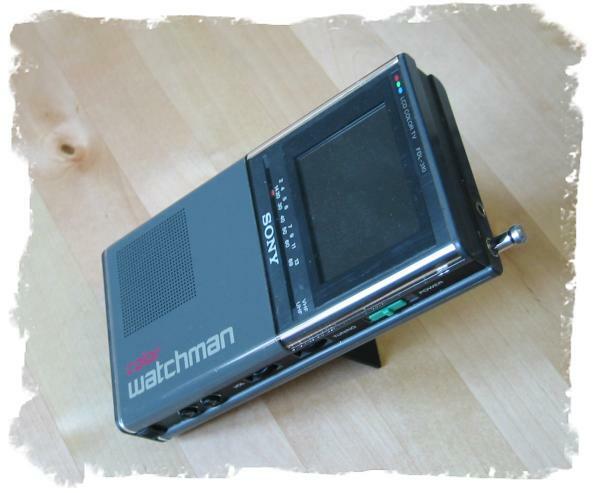 Formats have changed over the years. Three years ago it was Team Rice v. Team Irvin as NFL Hall-of-Famers Jerry Rice and Micheal Irvin “choose” their teams from the pool of all-pro players. I must confess their rosters and the way the players were divided made no sense, so the game once again has reverted to the traditional NFC vs. AFC mash-up. The games are low-key for a while, that is until the second half when the all-star competitive juices — not, those kind, lighten up — kick in and some rules are better honored in their breach than their observance. But the Pro Bowl is an afterthought as yet, after the Super Bowl and most everybody has gone football home. Not for me, baby. The Pro Bowl is mine, baby, all mine, thanks to the magic hall-of-fame arm of John Elway. ESPN, a few years ago, stage a “You Pick the Play — Quarterback Challenge” contest. For four Sundays in November, viewers of the ESPN game of the week could call a 1-900 number at $5.95 a pop, limited to once call per quarter with the objective of picking the next play a team would run. ESPN divided the field into sections by yard markers and hash-marks. Plays were assigned point totals. A running play to the right side was one point. A 10-yard pass to the left side was three points. A completed pass of more than 25 yards between the hash marks of the middle of the field had the highest point total. It was five freakin’ points. Under the very fine print section of the rules, ESPN deigned to disclose a toll-free number would be provided if requested. I believe there was some kind of law requiring this. I requested, baby, and I got to work. I studied the offenses of the teams that would appear in the four contest games. Elway’s Broncos de Denver was one of the teams, and even played in two of the games. It soon became apparent Elway was the guy who was going to punch my golden ticket to Diamond-head. This was the one guy with the arm, desire and ability to max out my point total with long bombs down the middle of the field. I figured he was good for at least one per quarter of any game he played. So it went and so I went. I missed one the four games for some reason. Guess I had a life beyond football then, can’t remember. But basically, I won every quarter of the three games — two by Elway — I played. It all came down to that toll-free number and Elway’s brain. People didn’t much hanker to the $5.95 per call price tag. As an Elway expert, I rode his arm all the way to paradise. I ended up with eight Sony mini-TV’s, a sports video collection, and an all-expenses paid trip to Hawaii, and cash, for the Pro Bowl. The trip was awesome, of course. I hung out with Japanese girl tourists who gave me strange tasting candy and a…well, PG-rated here. I sat behind the Miami Dolphins offensive line in the stands, amazing them with my play calling expertise as I shouted out each play before it happened. Morten Andersen, a favorite of mine, one of the top kickers in all-time accuracy, shanked the game-winning field goal. A Dolphin turned around, laughed and advised how he saw Morton partying his arse away the night before at Waikiki. Ah, good times. ESPN discontinued the contest after that. But Elway earned a fan for life. Which brings us to that anti-climactic encounter next week. What do they call it? Super Bowl, that’s it. The refs blind-boxed the NFC Championship game, and as a Saints fan, i’m boycotting it anyway. Don’t bother me with that stinking score. I’ll be watching a replay of this year’s Pro Bowl in its wake. Be the first to comment on "John Elway sent me to the Pro Bowl"